Stress tests measure the heart’s function and can show changes in the heart’s electrical activity. During this test, the EKG, heart rate and blood pressure are monitored while the heart is “stressed.” Medications and exercise are both methods used to stress or increase the heart’s rate. Stress tests provide information to help doctors treat and/or diagnose a heart problem. 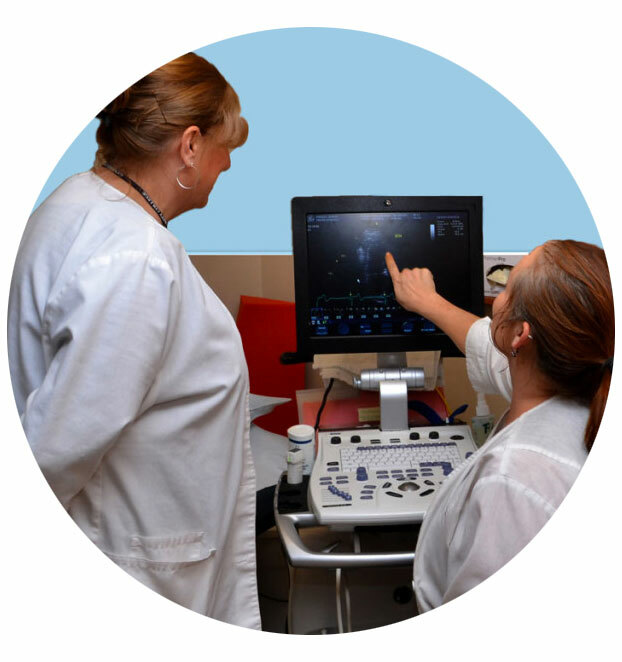 An echocardiogram uses ultrasound technology to produce an image of the heart. It looks at the size, shape and movement of the heart’s valves and walls. Results are then recorded and interpreted. An ECHO is painless, but you need to remain still during the procedure. We are accredited by the prestigious Intersocietal Commission for the Accreditation of Echocardiography Laboratories. To schedule an appointment please call 585-798-8252.